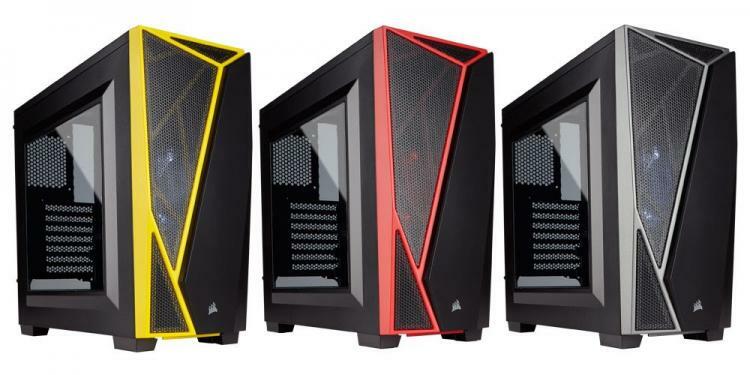 Corsair introduces its newest addition to its highly-acclaimed Carbide Series of gaming cases - the Corsair Carbide SPEC-04. The SPEC-04 offers a fresh and new look in gaming cases with its angular design. The SPEC-04’s bold look will be a centrepiece of any gaming setup. The chassis has a large tinted side panel to showcase your prized hardware inside the roomy interior. There are three different colours to choose from; Black and Yellow, All Black and Black and Red. The SPEC-04 can easily match some of the most preferred gaming colour themes today. The front panel I/O of the SPEC-04 is neatly located on the side of the front panel to give it a stealthier look. It offers USB 2.0 and USB 3.0 connectivity along with a set of quality audio ports. Behind the well-ventilated front panel that offers Direct Airflow Path to the hardware installed inside is a pre-installed 120mm LED fan. The intake fan’s LED colour goes with the colour model as well. 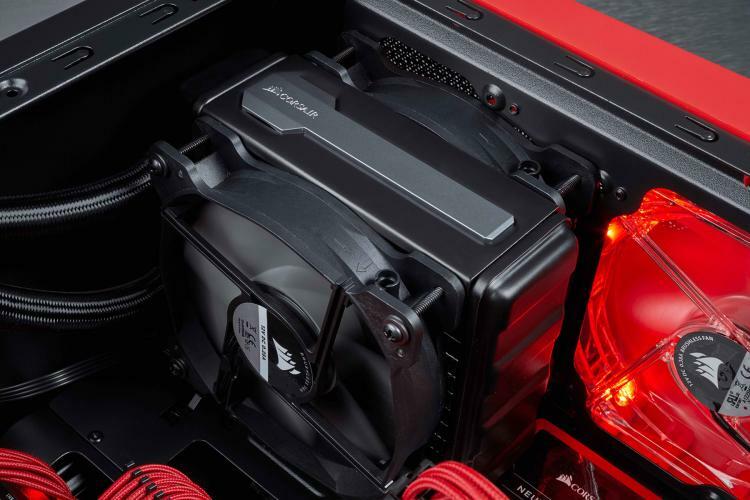 As for cooling, the SPEC-04 can pack up to five cooling fans – two 120mm or 140mm fans in the front as intake, two 120mm fans on the roof as exhaust, and then another 120mm fan on the rear for exhaust. 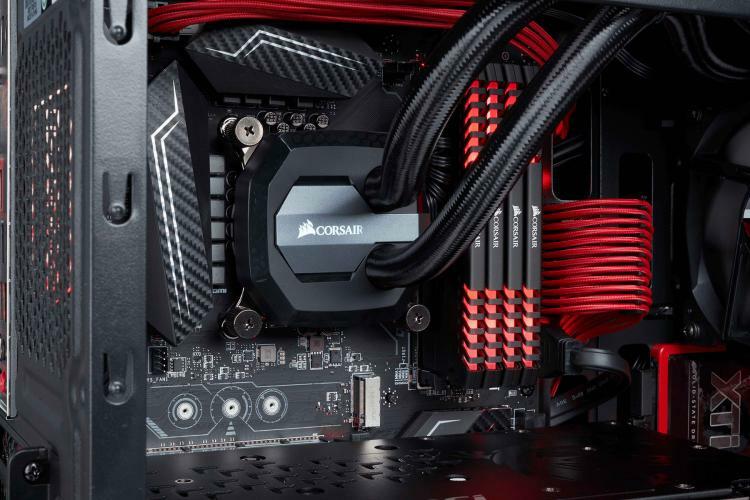 The Corsair Carbide SPEC-04 is packed features to make installation easy as possible. 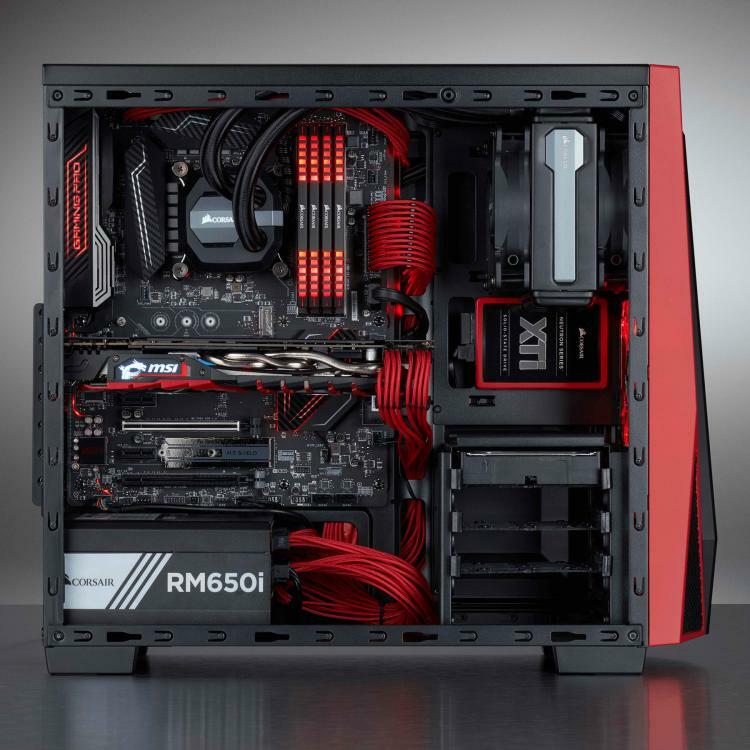 The case supports motherboard form factors ATX, MATX and mini-ITX. 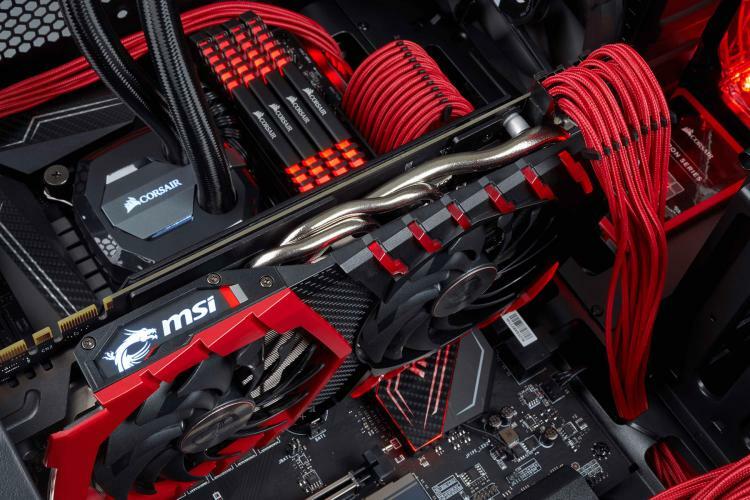 Offers seven expansion slots with plenty of room for graphics cards as long as 370mm. Expansive storage mounts accommodate up to three 3.5-inch drives and up to two 2.5-inch drives. Angular exterior design with large, tinted side panel window: The asymmetrical, hard-edged design adds bold styling to your build. Room up to for five 120mm fans: Tons of room for excellent cooling potential with one 120mm front fan pre-installed. Expansive storage space: Easy-to-use mounts for up to three HDD’s and two SDD’s. Clean, side I/O panel: Featuring a high-speed USB 3.0 port and additional ports for all modern connections. 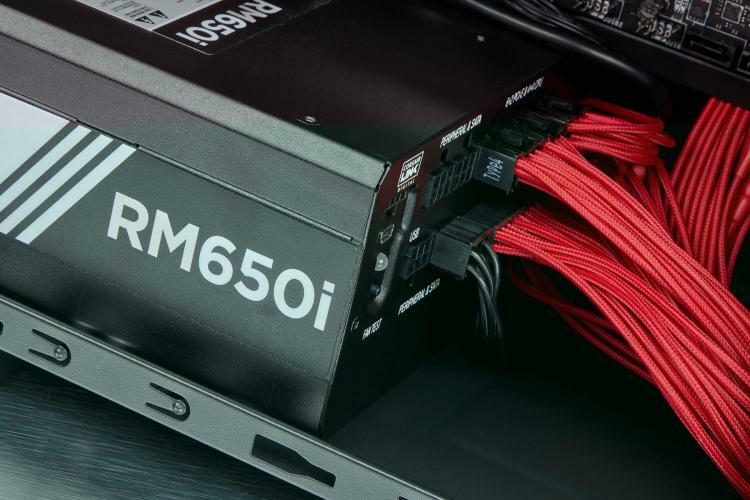 Cable routing cut-outs and tie downs: Hide your cables behind the motherboard tray to keep your build looking tidy and out of the airflow path for improved cooling. Removable, built-in dust filters: Added layer of protection will keep your components safe and running longer. I/O Port: USB 3.0 port, USB 2.0 port, Headphone and Microphone jacks, Power on and Reset buttons. 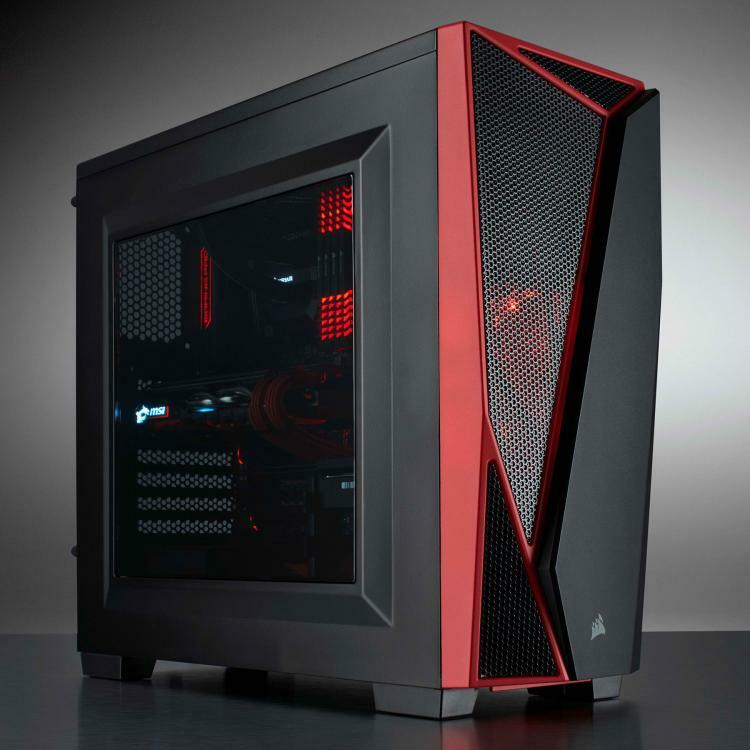 For more information on the Carbide Series SPEC-04 chassis, visit the Corsair website.